Hillside Golf Club is situated in Southport, the home of "Englands Golf Coast" which boasts England's finest stretch of coastal links. 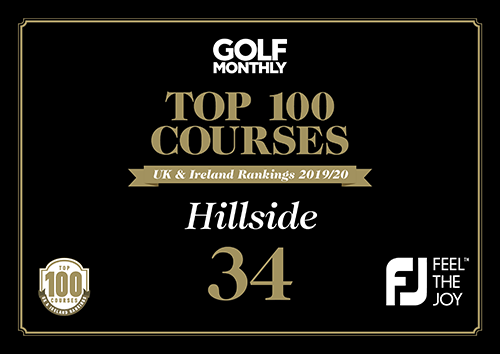 Hillside has hosted many amateur and professional tournaments in it's illustrious history and was recently selected by the European Tour to stage the 2019 British Masters. The R&A have been a regular visitor to the Links with The Amateur and Ladies Amateur Championships being staged here as well as Final Qualifying for The Open on numerous occasions. Visitors can be assured of a warm and friendly welcome at Hillside. The clubhouse dates from the early 1930's, and in line with similar developments at other clubs in the area, was built in a style that resembled a private residence. Extensive re-development has created a wonderful building to match the world class links.